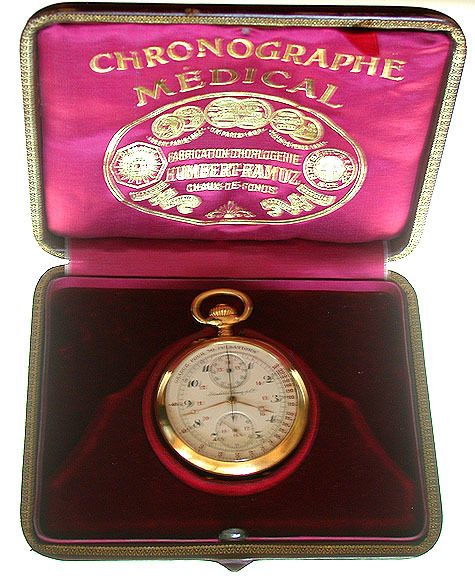 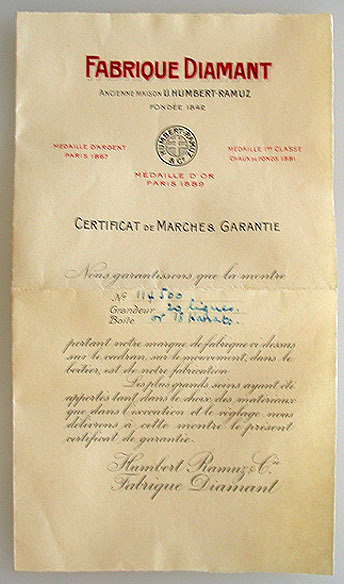 Fine Swiss 18K gold medical chronograph with register in original box and with original certificate by Humbert-Ramuz circa 1925. 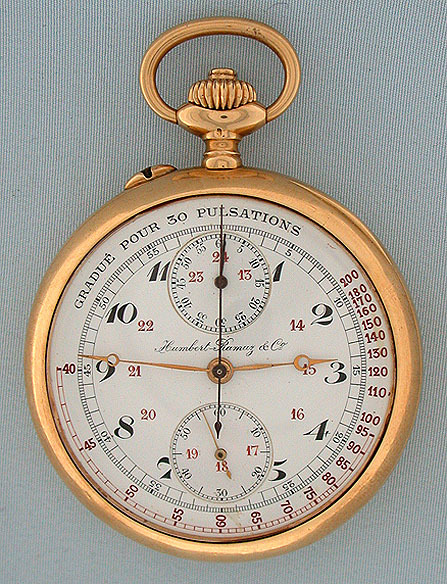 Fine white enamel dial with red and black markings, pulse scale, 24 hour indication, and elapsed time indicator. 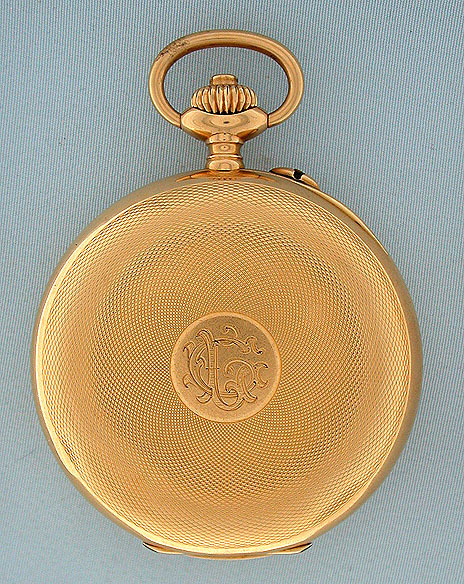 Engine turned case with edge dents. 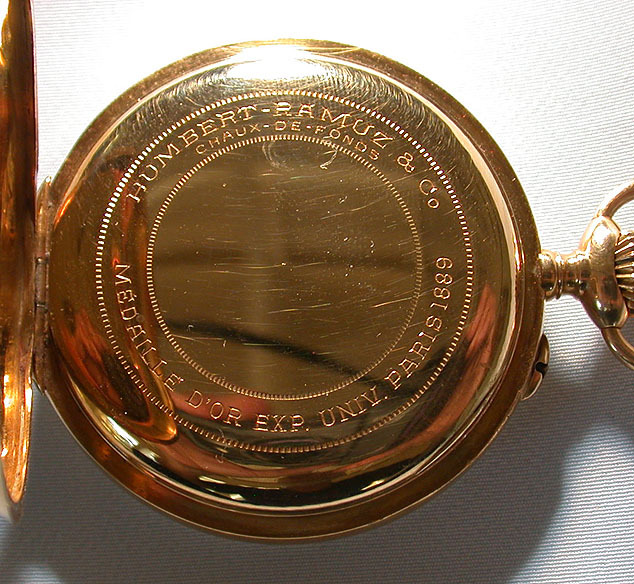 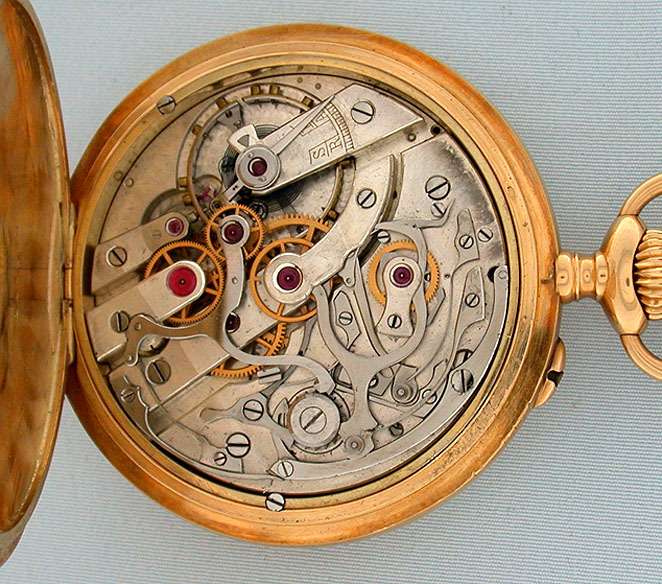 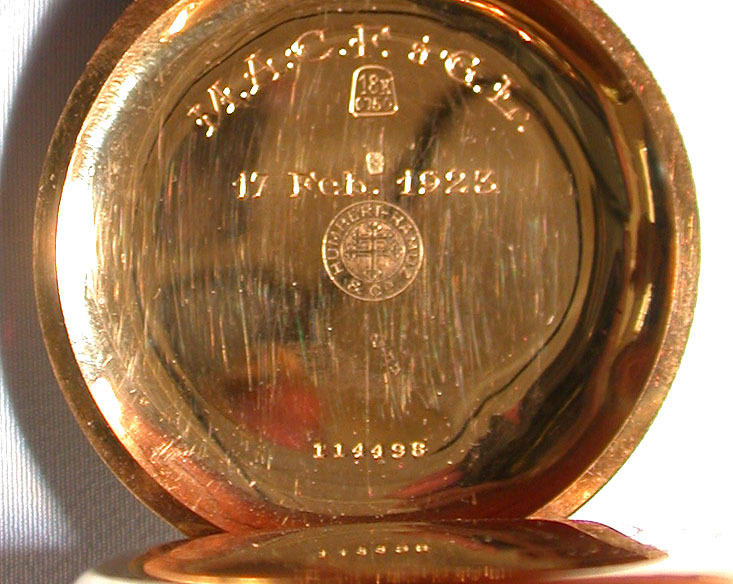 Nickel 23 jewel movement with the chronograph owrks visible on the back.